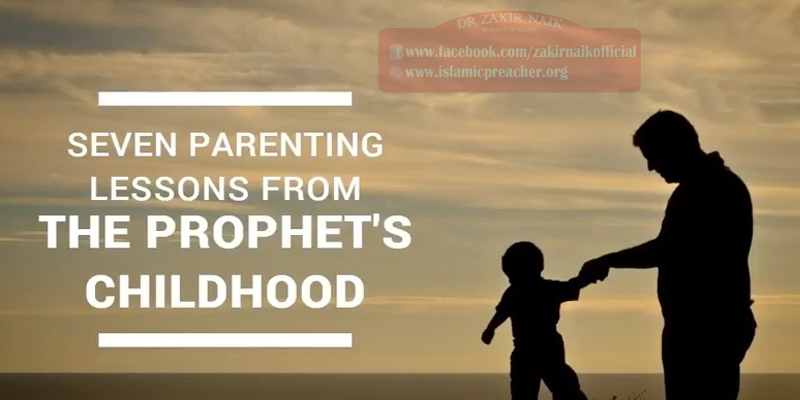 There are some historic moments in the life of the Prophet (pbuh) that we, as parents, can derive many valuable lessons from. The Prophet’s Grandfather, Abdul Muttalib, used to sit on a mattress near the Ka’bah. Prophet Muhammad (pbuh) was always with him observing all the conversations between the elders of Quraysh. Abdul Muttalib would always say that his grandchild Muhammad is going to be a very significant person one day. Customs in Quraysh entailed that newborns be sent to the desert to learn the proper Arabic language as well as to gain physical strength from a young age. The Prophet (pbuh) was sent with Halima As-Sa’diyya (his milk mother) to Banu Sa’d (the tribe of Sa’d) where he gained his eloquence and strength. It was narrated by Anas ibn Maalik that Jibreel came to the Prophet (pbuh) when he was playing with the other boys. He took hold of him and threw him to the ground, then he opened his chest and took out his heart, from which he took a clot of blood and said: “This was the Shaytaan’s share of you.” Then he washed it in a vessel of gold that was filled with Zamzam. Then he put it back together and returned it to its place. The boys went running to his mother – meaning his nurse – and said: Muhammad has been killed! They went to him and his colour had changed. Anas said: I used to see the mark of that stitching on his chest. The incident of the Angel Jibreel (Gabriel) washing the heart of the Prophet can be taken as a lesson. We should perfect our children’s faith by letting them emulate Prophet’s (pbuh) pure character. When the Prophet (pbuh) was about 6 years old, his mother Aminah took him with her to Yathrib (Al-Madinah) to visit his maternal uncles. This created a bond between the Prophet (pbuh) and Al-Madinah which became his home later. Fifty years later, as the Prophet (pbuh) was making his way to the opening of Makkah (Fath Makkah), he visited the grave of his mother and he wept and moved others around him to tears. Teach your kids to love their mothers like our Prophet (pbuh) loved his mother. At the age of 8, the Prophet’s grandfather Abdul Muttalib passed away leaving the Prophet (pbuh)an orphan with no guardian. Despite that, the Prophet (pbuh) lived to be the greatest of mankind because his reliance was on Allah alone.